Home Misc What Messaging App Should Your Clan Use? What Messaging App Should Your Clan Use? Pretty much all of the major clans in any world of Celtic Heroes use some sort of mobile messaging app to keep in touch when they are offline. This helps them share pictures of drops, lets the leaders plan events without everyone needing to be online, and keep track of boss spawn times. I'm going to list a few of these apps, and discuss some of the good and bad about them. The ones I will talk about are all free apps that you can get through the app store. This may not be a full list of what everyone uses, but it is what I am aware of at this time. *Edit* as of 2014 my clan is using an app called Moxtra. It has been very reliable so far, and allows voice chat while in the game. Very cool! The Good: This app works more like a message board than a chat program. Conversations are organized by thread, so you can keep your topics organized. Each person has the ability to create up to 11 boards for free, so in addition to your main clan board, you can create your own boards and invite others to it (example: if you have a regular leveling group). You can get notifications via email or push notification. These can be turned off per board, so you only receive the notifications you want. You can also set quiet hours, so that you do not receive notifications during a specific time period, although this is for the entire app, and is not a per board setting. Sharing the board is pretty easy, because there is a 5 character code that you can share with your clan through the clan message in CH. The board owner can remove people from the board and they cannot rejoin. The Bad: I have seen is that the notifications can get buggy sometimes. When new notifications come in, sometimes old ones will get stuck and will keep showing up. This seems like it happens most if someone decides to spam the board. Another bad thing is that if the board code is leaked, outsiders can get onto the board without any approval. I've also seen it happen where posts are delayed for some reason. This can be a problem if you are tryign to get people online for a boss. The Good: This app works more like a chat program than a message board. Although conversations are not organized by thread, this app keeps an archive of more posts than Glassboard does. Sharing is more secure, because to add a person the board owner searches for the user's name and adds them manually. The push notifications seem to come across immediately with no delay, and i ahve not seen them to be buggy in any way. The Bad: You need to enter in a phone number to sign up for an account. Not everyone wants to do this because of privacy concerns. Some people just cannot sign up because they play on an iPod or iPad. The Good: GroupMe works a lot like Touch. It's interface is more like a chat program than a message board. The interface is easy to use, and there are push notifications like the other two apps. It is very easy to chat one on one with board members. You can talk to one person instead of the entire group with only one tap. The Bad: There isn't a good way to add users to a board. Users need to click on a long obscure link to get added to a board. It is not ideal. Plus, when a person removes themself from a board, they can add themselves back in. This is a concern for an MMO where people get booted from clans. We would not want people adding themselves back in on their own. The other thing that I dont' like about this app is that instead of setting quiet hours, you have to manually enter in when you want the app to be quiet. This means that every night you will need to go in and snooze your app for 8 hours or so. The Good: You can chat one on one with people, but it is not designed to be a mobile messaging app for a group. The plus side is that it's easy to find people. The Bad: It's not designed for group use (at least from what I have seen). The clans that I am in use Glassboard and Touch. 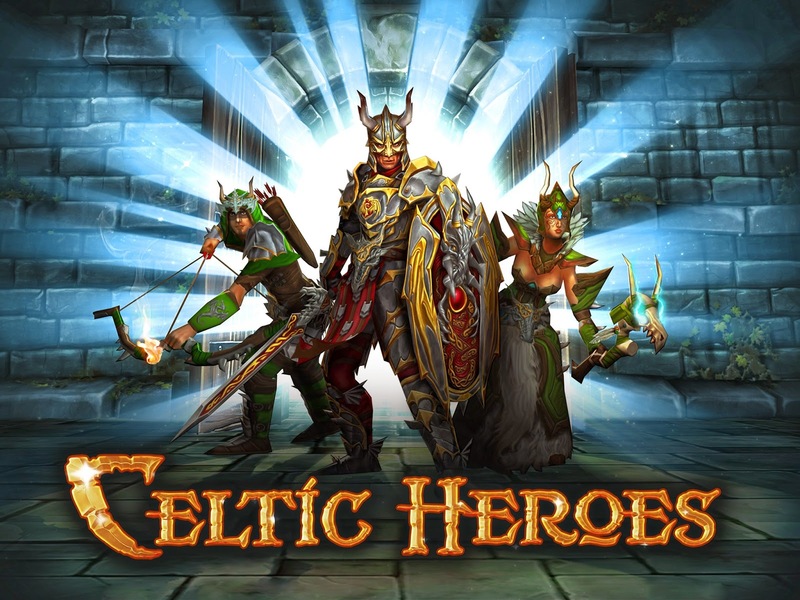 I would recommend these two appsfor your clan, because they seem to work well for what a clan needs in Celtic Heroes.